The Field Service Manager program is dynamic and interactive, with students frequently working in small groups, presenting findings and working on the course case study. The program is four and a half days of course content and university-level instruction and learning that is focused on managing a field service operation. Field service managers must be able to manage in an environment of highly skilled, technical people. 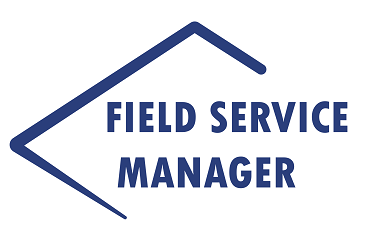 The manager must be able to lead, coach and facilitate the activities of these people towards accomplishing the field services mission and have excellent insight into the demands of customers, subordinates and the service business. This course is the first of its kind and is targeted specifically for field service managers. The course begins with a review and quiz on a set of pre-class reading materials. These materials are sent to each participant two weeks prior to the class start date. Participants are strongly encouraged to register at least two weeks in advance to allow time to complete these pre-class assignments. Each participant is required to bring the pre-class reading materials as well as a notebook computer with a USB port and with Microsoft Excel, Word and PowerPoint installed. These will be used as tools during the course. All other materials and tools will be provided. Homework is assigned for most evenings of the course. Please plan for study time outside of class. The list of Field Service Managers from around the world. Very pleased with the course and the week. One thing I missed is a schedule every day. Just to print out how long/short time to the next break/lunch. This is now the second SGSA course I have attended, and every aspect of the course was superb. The material is relevant, thought provoking and challenging and I’ve learned a great deal about management best practice and how to improve my own management style as a result. Steve is a fantastic presenter who makes the content interesting and has a wealth of knowledge and experience that is evident in the presentation style. I would highly recommend anyone at any level of service delivery attends an SGSA course. Thankyou Steve and Michelle!